Terribly Interesting: Does It Spark Joy? Last week, I went and had a ultrasound of my abdomen. I had been having pain and issues since last fall. I am on my fifth doctor. I had done a lot of research and went in to his office with my own diagnosis. He listened. Off I went to get my ultrasound. I had a feeling that the problem was my gallbladder and my liver. I have been exposed to toxins and had some other complications that could lead to this. The wonderful woman doing my ultrasound was asking me questions about my health. I'm not the candidate you would expect to be there. I am not overweight, an alcoholic, and I have a good diet. I have been exposed to mold, which is a factor. She asked me about my pregnancies. I don't know if it was saying out loud that I had been pregnant nine times or thinking of my two brothers that I lost to liver problems when they were the age I am now, but tears just started streaming down my face. I am sort of an intrepid personality, someone who just keeps moving forward. In the vulnerability of that moment however emotion gripped me full force. I had been thinking a lot about the time since I began this blog leading up to that appointment. I started it almost nine years ago. It was named Terribly Interesting because I loved the phrase the French say about women not becoming interesting until 38. I still had time. Now, at 38, had I achieved this? (Terribly has to do with me thinking deeply about the Lord being referred to as terrible...and it being a good thing) I had recently lost my first brother at that point. It made me really want to overcome a shy, tender heart and start loving people demonstratively. All of that led to buying a hundred year old mansion and inviting people to stay with us and find healing. I lost another brother and a total of six babies since then, but oh how Jesus taught my heart to love. He humbled me and spoke to me and drew me in through that pain. I have encountered the lavish love of God through the gift of hospitality. It's all hard. Diagnosis is hard. Ministry is hard. Traveling 4 months out of the year is hard. Working in a church is hard. Loving people wounded by the church is hard. Restoring a 100 year old house with three children is hard. I cried all over the man who is putting in our air conditioning and redoing our guest bath the other day. He and his wife are the goodness of the Lord in the land of the living to me, the aroma of Christ. I am so thankful that someone would step in and invest in us as we strive to love others. I want to cling to that joy. The day after I went to get my ultrasound, I went to visit my daddy and my step-mom. She had ordered a book for me. 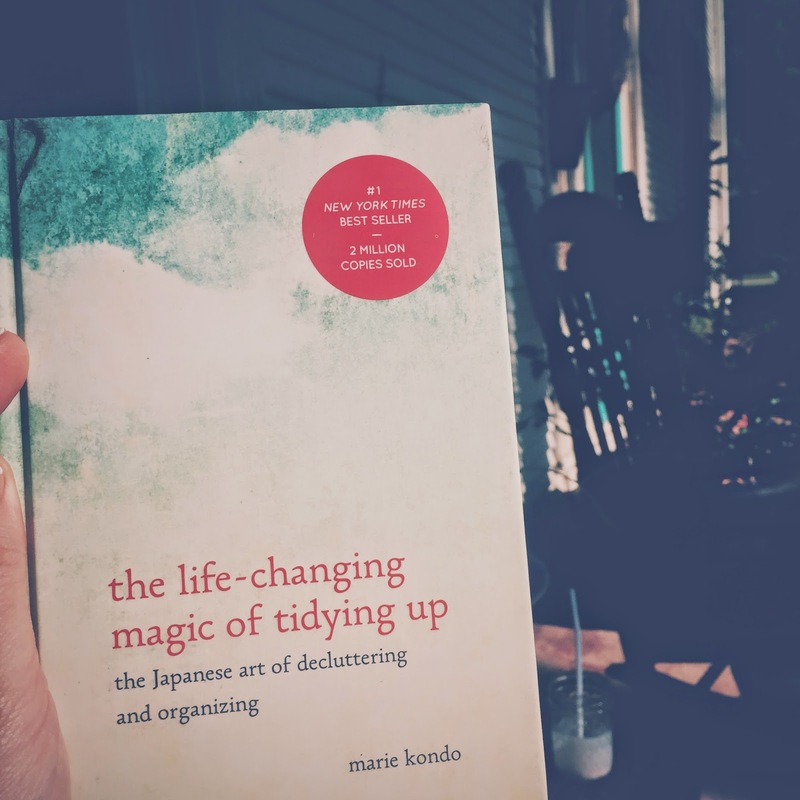 That book is "the life-changing magic of tidying up" by Marie Kondo. In it, I came across a question she used in organizing. Does it spark joy? That is how you know what to keep and what to discard. I have been thinking about this every day. What if I tried to diligently search for these moments every day? I could capture them on film. I thought of when One Thousand Gifts came out and people everywhere found joy because they were looking for it. I'm looking. I'm posting on Instagram. Join me.